Sippican Cottage: Psst. Hey Buddy. Wanna Buy Some Furniture? Psst. Hey Buddy. Wanna Buy Some Furniture? 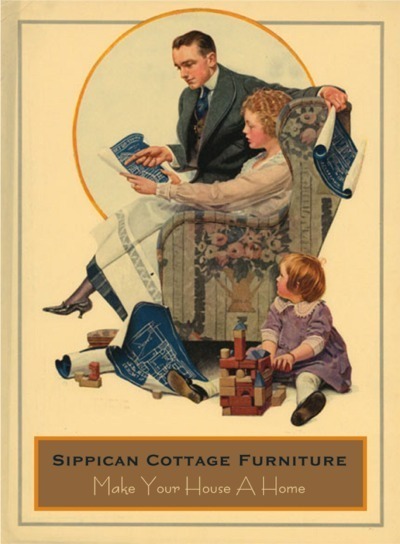 In order to offer a special perquisite to my readers, and as collateral damage maybe get my hands on enough money to purchase enough heat to make it warmer inside than out, consider this a heads up that there are seven new, very highly discounted items on my "Ready To Ship" page over at Sippican Cottage Furniture. Last time I had about twenty items, and they all sold in about ten minutes because people are very nice to me indeed; so if you want something you see over there, don't wait around. Now you've all got a two-hour head start on the people that signed up for email marketing. Curses!!! Late again!! I really want one or two of your tables, but paying 2.84 for a gallon of heating oil makes me a bargain hunter. Short of staying up all night compulsively checking your site, I'll just have to trust the luck of the draw. Hi teresa- They didn't last half an hour this time. I'll make more. I'll have to fix it so you get first crack at them. They are so beautiful, it's no wonder they go like hotcakes! We're very glad to hear you have such nice neighbors and are feeling good about your move - that can make all the difference in the world. Welcome to the world of homeschoolers also!